This documentary reveals the underwater world of the Queen Conch, the jewel of The Bahamas archipelago, chronicling the life cycle of this colorful mollusk from egg, to metamorphosis into its shell covered life. We see what it eats, how it reproduces, and its predators on land and in the sea. Today, people have become the greatest threat to their survival in The Bahamas. Watch the film and find out how people can join in an international effort to preserve the Queen Conch for future generations. The film will be released in 2018 and seen throughout the islands in schools and on television. © 2019 For The Love Of Conch. In this article by PRI Public Radio International, learn more about the queen conch, its importance for the Caribbean cuisine and culture, and the need for plans to save them. The conch is mostly gone from Florida. Can the Bahamas save the queen? 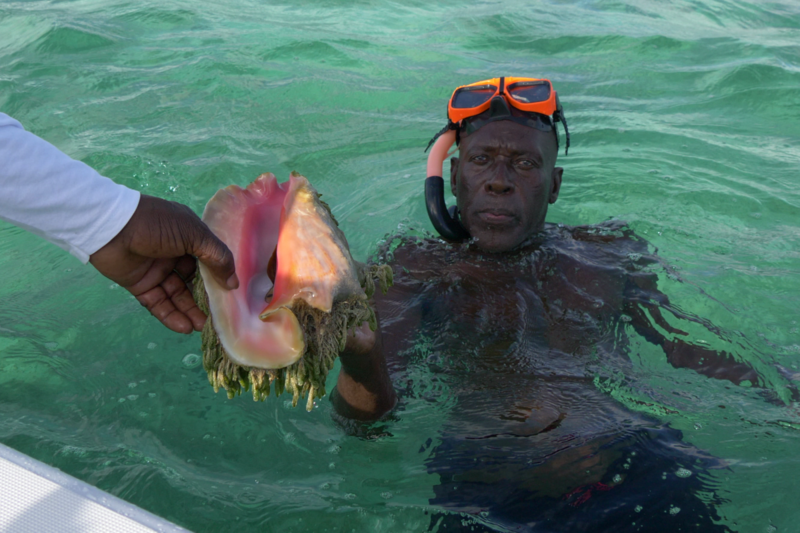 Miami Herald reports on the efforts made to save conch in The Bahamas.